On this Veterans Day, I am remembering my lost flock of Golden Boys of the Class of 1967; there are other members of the class of 67 who were also lost in Vietnam and who are missed, but these are very close friends. They are listed in order of their casualty date. 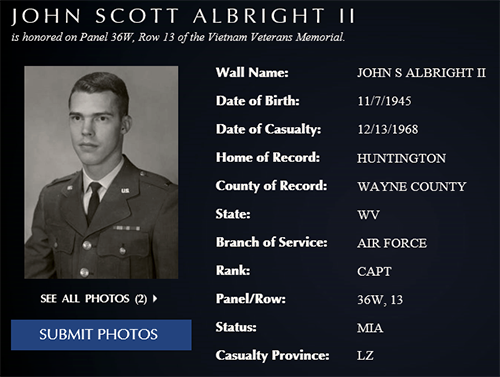 John Albright was a member of my doolie summer squadron in the summer of ’63. 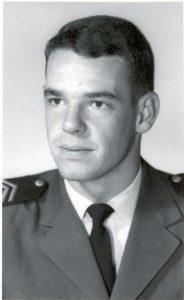 I remember him as a serious cadet longing to earn his pilot’s wings and anxious to get to the building war in Vietnam. Like myself, his long hours of study at the Academy led to eyesight that was not quite good enough to get into pilot training and we both graduated from navigator training the late summer of 1968. Although I stayed on at Mather for advanced training, John got his chance to go to Vietnam as a C-123 navigator. He was lost on his first operational Candlestick flight out of Nakhon Phanom RTAFB only four months after he left nav-school. He was the first of my close Zoomie friends to die in Vietnam. 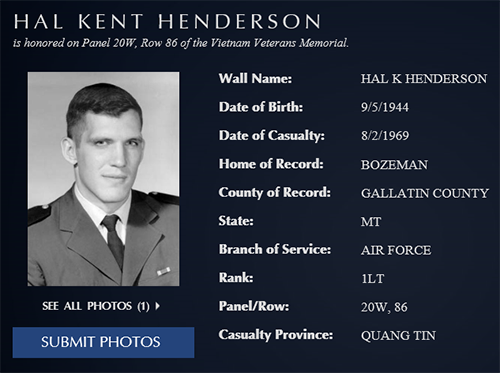 (For some reason, Morg’s photo is not on the Vietnam Virtual Memorial website; this is his second class year photo). Morgan Jefferson Donahue I claimed as a fellow Alabamian; though born in Virginia, he attended Sidney Lanier high school in Montgomery, one of my least favorite football teams to play as they always seemed to beat us. Morg was assigned to the 21st Cadet Squadron but we maintained a connection throughout our four years at the Academy and ended up in navigator training at Mather together with Scot Albright. And like Scot, Morg snagged a C-123 navigator slot out of undergraduate navigator training. In fact, they both were on the Candlestick mission together when their C-123 collided with one of the B-57s they were directing to a target in Laos. 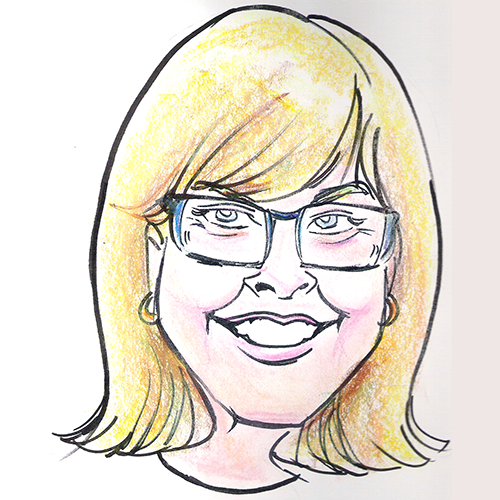 But unlike Scot Albright, we did not immediately know if Morg was killed. In fact, we thought he had survived the crash and had been captured and was being held captive in Laos. As recently as 1987, there was information he was alive but since then no news. He was declared killed in action in 1990. 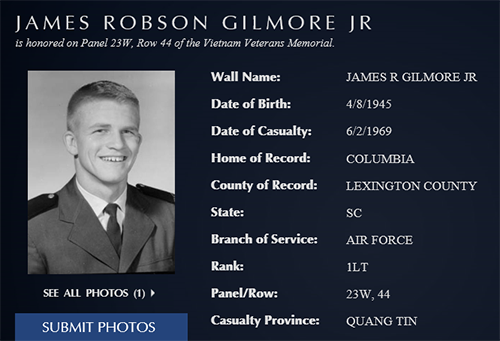 Jim Gilmore was one of my roommates in 2nd Squadron – Tough Two! Jim and I were close friends throughout my four years at the Academy and for a while our fiancés shared an apartment in Colorado Springs. Jim was always fun to be around, always seeing the good in people and situations. I remember the break between our second class and first class years we planned a train ride home from the Academy with our fiancés. We booked the trip on the same phone call but somehow the travel agency screwed up the reservations. C and I ended up traveling the northern route through Chicago while Jim and Sue were put on a train running south though Texas. We laughed about that but I sure wish now I had that lost time with him back. 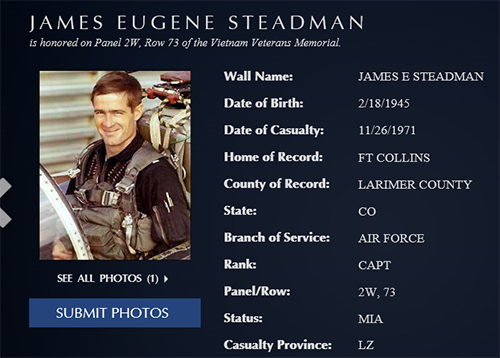 Jim was flying an O-2 over Quang Tin as a forward air controller when he was lost. Thankfully, Jim’s remains were recovered and he was finally able to come home. Hal was another close friend throughout my four years at the Academy. We began our time there in the same doolie squadron (First Squadron) and after our formal acceptance into the Cadet Wing, Hal moved downstairs one floor in Vandenberg Hall to the Third Cadet Squadron. Starting in mid August, Hal and I went out for the football team; I busted my knee about three weeks in and had to give up football, but Hal made the team and was a great Zoomie player all four years. Hal and I spent a lot of fun time together during our 4th Class field trip when we were both assigned to the same bunk space on the Yorktown. I have a photo Hal took of me near the arresting gear that was just over our heads in the bunk space and which woke us each time an aircraft was recovered. But Hal was able to get into pilot training and landed an O-2 flying out of Da Nang. 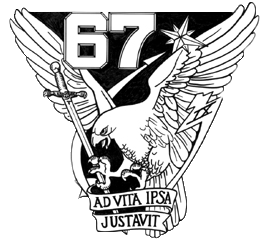 Hal was lost near Chu Lai when his O-2 collided with an Army helicopter as he was pulling off a marking run. His remains were recovered and Hal was able to come home. Max was another close friend from the top floor of Vandenberg Hall. We were in the same doolie squadron but he was then assigned to the 1st Cadet Squadron while I went to the 2nd. Throughout our four years, we had a healthy competition for academic honors, which Max won. He also won my coveted pilot’s wings and the race to Vietnam as well. 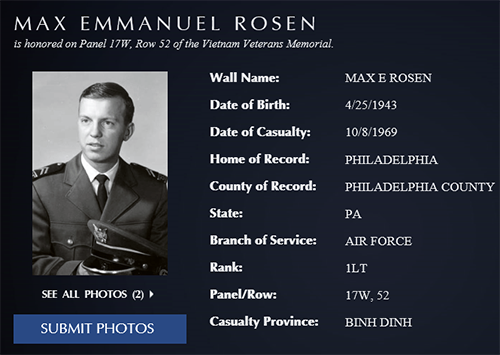 Max was assigned as a co-pilot on an EC-47 flying out of Phu Cat in South Vietnam. On his last mission, his aircraft had a fire in the instrument bay and crashed while on emergency approach for landing. His remains were recovered and Max was able to come home. 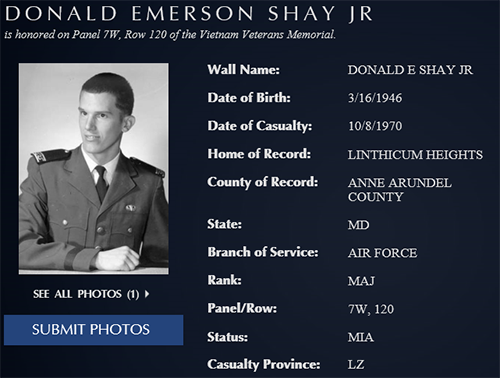 Don Shay was also in my doolie summer squadron and a fun guy to be around. And like myself, he ended up in navigator school at Mather AFB in California instead of the longed for pilot training. But we both decided to try to leverage our nav wings into a second chance at pilot training by choosing a back seat slot in F-4s where you could get a lot of “stick” time. Don got the reconnaissance version, the RF-4, and loved it. Don also got his chance in Vietnam with the 14th TAC Recon Squadron at Udorn Royal Thai Air Force Base. There we lost him on a night mission over Laos. His remains have not been recovered. Jim was my first roommate at the Academy and forever one of my favorite people. I wrote a previous post about him here. 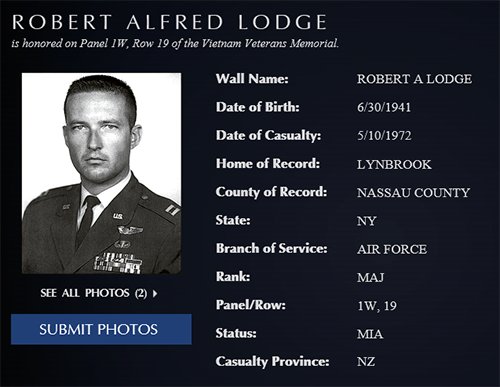 Bob Lodge was not one of my classmates, but I knew him both at the Academy and later on active duty. I first met Bob early in my doolie summer – he was the flight commander of my summer squadron – and I recall that he was a take-no-prisoners kind of upper classman. He was in the class of 64, a “firstie” and he was responsible for taking a bunch of young civilians and turning us into something resembling a real cadet by the end of the summer. To that end, he was relentless in pushing us far beyond what we thought were our limits. I particularly hated the hallway “exercises” we had each night that summer. Bob was extremely fit and prided himself in being able to do far more pushups and chin-ups that any of us doolies. He also could and did run us into the ground on our morning runs up and down the foothills surrounding the Academy. In the fall, Bob became the 2nd Cadet squadron commander and continued to push us, and especially me. I didn’t know then, but he had taken a liking to me and wanted me to do well, especially after I had destroyed my knee trying to play football for the Academy. Somehow I survived that first year, with a great deal of his close attention, and I have to admit I was glad to see him graduate. I ran into Bob again in 1970/71 when he was assigned to the 16th Tac Fighter Squadron I was in. He had completed one tour in Vietnam and was upgrading to F-4s. I flew with him often, shared many a beer at our squadron bar, and learned a lot from his combat savvy. 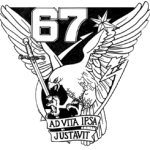 In the spring of 1972, after I had submitted my resignation in frustration of not being allowed to go to pilot training, we learned that the now 58th TFS, as the 16th had been redesignated, was deploying en mass to Thailand. Although I then tried to withdraw my resignation, the Air Force was slow to react and the squadron deployed without me that April. Bob and his backseater were shot down shortly after I started grad school at Auburn. His status is still missing in action.